With summer coming to an end, Think Tank Photo has been on a roll announcing updates to some of their most popular camera bag series. The latest bags to receive upgrades are Think Tank’s airport rolling camera bags, the Airport International and Airport Security. These are the third generation of the bags. According to Think Tank, they made improvements based on input from pro photographers. Some of these include improved durability, dedicated laptop and tablet compartments and improved handles. For more details and specifications on both camera bags, check out the press release below. 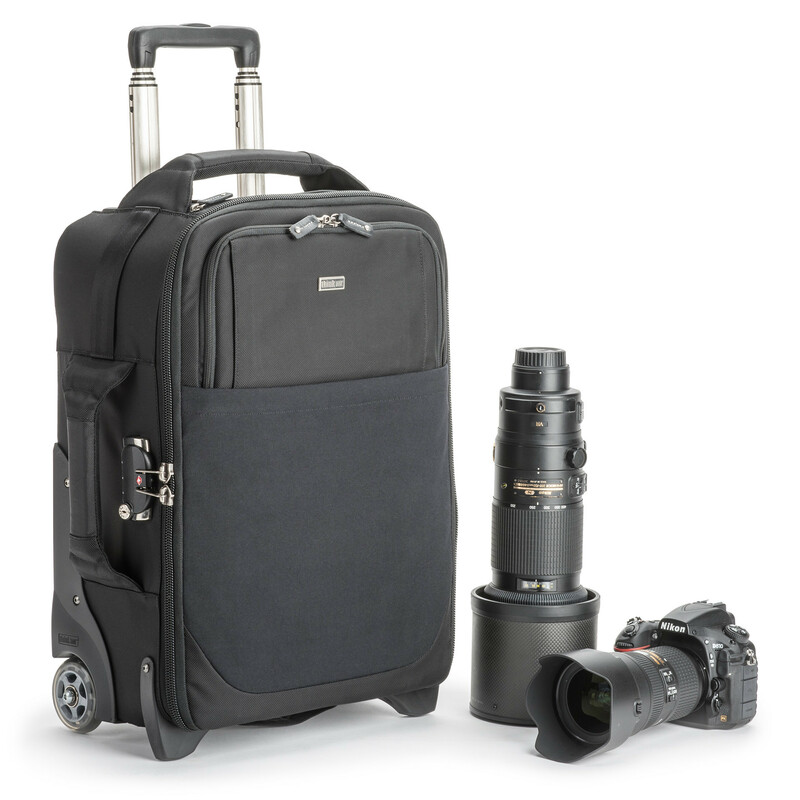 The Airport International V3.0 holds two gripped DSLRs with lenses attached, plus two to four additional lenses, a 15” laptop, and a 10” tablet. The roller fits up to a 500mm f/4 detached or 400mm f/2.8 attached (hood reversed). The Airport Security V3.0 holds two gripped DSLRs with lenses attached plus four to six additional lenses, a 17” laptop, and a 10” tablet. The bag fits up to a 600mm f/4 detached or 500mm f/4 attached (hood reversed).